As the largest continent in the world, it should come as no surprise that Asia is home to a great number of diverse plant species. From the Himalayan mountain range to the tropical rainforests of Southeast Asia and the temperate coniferous forests of Japan, Asia is a geographically rich country that contains many plants that may be cultivated in various climate zones across the globe. Japanese wisteria (Wisteria floribunda) is a vigorous, aggressive vine native to Japan that can quickly spread outwards or upwards up to 15 feet. The plant sports large clusters of deeply fragrant blooms, which may be white, lavender or reddish purple. The showy blooms of the plant are attractive to hummingbirds. Japanese wisteria may be pruned into a tree-like specimen plant, or left to grow wild over a structure in a cottage or woodland garden. The plant does best in partial or full sunlight in U.S. Department of Agriculture (USDA) hardiness zones 4 to 9, in a rich, well-drained soil. Water the wisteria plants as needed, keeping the soil moderately moist. 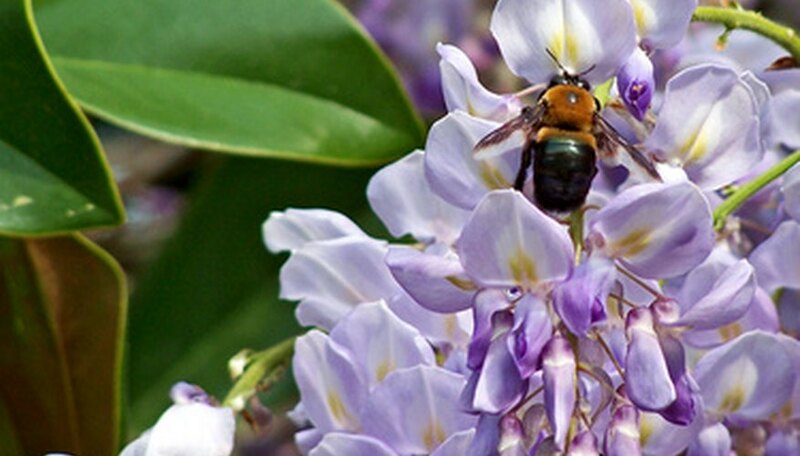 Japanese wisteria may become invasive in some climates, so consult an invasive plant list in your area before cultivating. Crepe ginger (Costus speciosus) is a flowering perennial that hails from the Malay Peninsula in Southeast Asia. The tropical plant may grow to be between 6 and 10 feet tall, producing broad, flat leaves and crepe-textured white flowers, which emerge from maroon cones. The striking plant is ideal for late season color, as it produces its bloom in late summer and early fall. Crepe ginger is fairly hardy, and will thrive in USDA zones 7 to 12. The plant prefers partial sunlight and rich soil that is enhanced with organic matter such as compost manure or leaf mold. Water crepe ginger enough to keep the soil moist, but not wet. A native of China, Korea and Japan, Japanese spirea (Spiraea japonica) is a deciduous flowering shrub notable for its dense clusters of tiny white, pink, red or purple flowers and for its foliage, which for many cultivars changes colors in the autumn. Japanese spirea reaches an average height of between 2 to 6 feet tall. Japanese spirea grows best in full sunlight in a moist, rich loam in USDA zones 4 to 8. The blooming period of the plant can be extended for pruning away dead flowers. Japanese spirea is considered invasive in some states, so avoid planting in prohibited areas.